A rule of thumb describes an approach based on intuition, in contrast to one based on rationality and calculation. I think its fair to say that science is all about rational, calculating, data-driven approaches, where intuition is considered irrational and unreliable. The scientific method is, among other aspects, about eliminating the effect of various biases, like the availability bias (the first thing that comes to mind is seen much more favourable than other options; Daniel Kahneman describes many of these in “Thinking, Fast and Slow”). In this article I want to provide examples where rules of thumb are a better alternative to scientific research for making personal decisions. 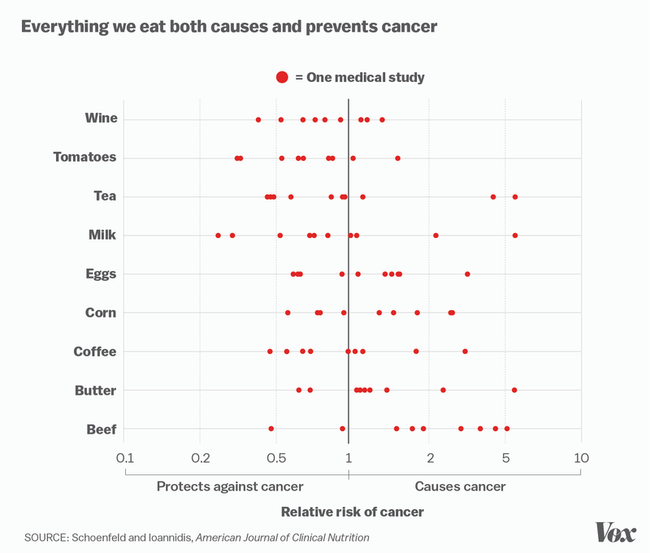 Note that this doesn’t require peer-reviewed studies published in journals to understand. This rule of thumb itself seems pretty intuitive to me. But more importantly, it’s simple, easy to remember, and easy to apply. It’s not precise, it leaves plenty of ambiguity, and that’s fine. It can help make quick decisions about what and how much to eat, without getting you into decision paralysis, where you can’t decide among too many options or contradicting recommendations. And if this rule of thumb doesn’t work for you personally, then you can look for another one. If the idea of using rules of thumb as outlined above is intriguing to you, I can highly recommend the book “Risk Savvy: How to Make Good Decisions” by Gerd Gigerenzer (also available in German as “Risiko: Wie man die richtigen Entscheidungen trifft”). The author covers various other rules of thumb (for example, for picking food from a restaurant menu), but also discusses risk and decision making from other perspectives. Its among a few books that influenced my thinking quite a lot lately. PS: Thank you Lars, Tomasz and Enes for reviewing drafts of this post and providing valuable feedback.